The wedding celebration leads to the exciting path of new beginnings and happily ever after. But for Chinese couples, the journey starts from a symbolic union of the two families and announcement of their engagement. 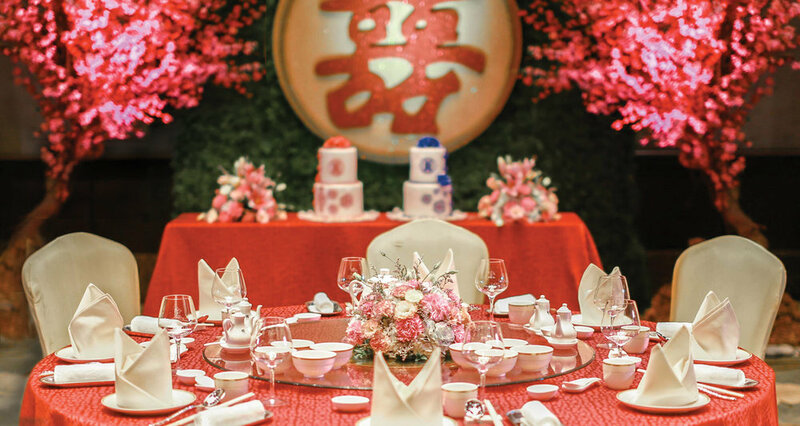 With Diamond Hotel Philippines' Chinese Engagement "Ting Hun" Package, create a sparkling and truly memorable engagement ceremony and discover the finer things the hotel has to offer from ideal event venues, authentic Chinese dishes, excellent service, and more. The Chinese Engagement "Ting Hun" Package entails a choice from three Chinese Lauriat menus with an array of special inclusions. Symbolizing love and marriage, the couple may share the double happiness cake with their family and friends. As part of the special tradition, misua, sweet soup and sweet tea are included for the engagement rights. Tick off some of the to-do and must-have list like looking for flower suppliers as floral arrangement per table, including the cake and registration table, will be provided. Couples may also choose from a backdrop design or photo-booth with three hours unlimited snapshots. To complete the package is a complimentary overnight stay in a Deluxe Room with buffet breakfast for two.